Woodburn, Oregon Tulip Festival 2015! Spring is officially here and the tulip festivals are being celebrated all over the western parts of the Pacific Northwest. 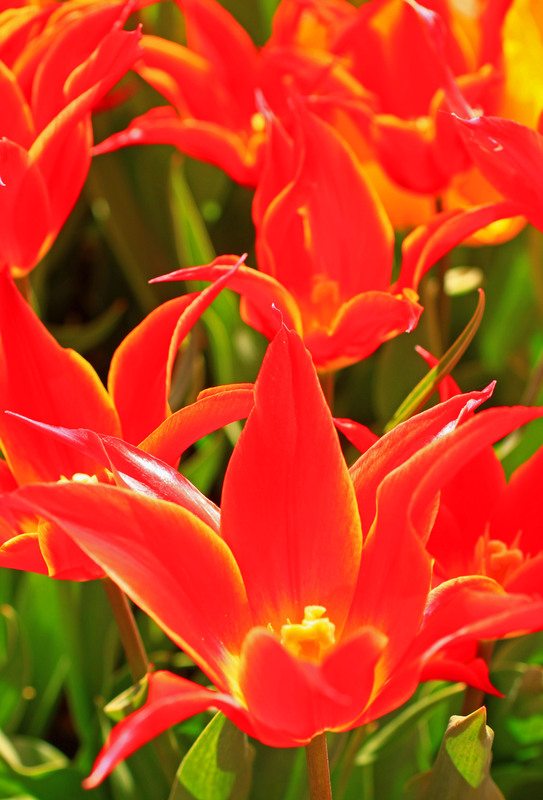 Some of the best tulip farms are located between Western Washington and Western Oregon. There are over 50 places to go take in the majestic beauty of the flowers but one of the easiest to get to, if you reside in the Portland area, is the Woodburn Tulip Festival. It’s a very nice drive and pretty easy to get to. However, you will be surprised if you haven’t been to the festival over the past two years. I was unpleasantly surprised to find out that their entry prices have skyrocketed and the annual parking pass has gone from $15 to $40. You also have to pay $5 per person, which is much more than the $5 per car entry the last time I went. They have really cashed in on the tremendous increase of out of state residents that need to get their Festival fix. It also didn’t help that the parking lots were completely packed and you were lucky to be able to walk along the pathways without bumping in to a family or two. It also didn’t help that it’s still pretty early and the tulips were pretty sparse and need about two more weeks before they will be out in full force. I normally just go to get some really good pictures but I was impressed to see that they really increased the amount of rides and events that they offer. They almost tripled the amount of rides and added several tractors along the walking paths so families could take more photos of their kids with the flowers in the background. It’s a great place to bring your kids and they even allow dogs to walk along the flower paths. I probably wouldn’t recommend that you visit during a weekend since it would be pretty crazy and since we went on a weekday, I could only imagine what the weekend will be like. Since the tulips were not out as much as I would have liked, I ended up attaching my 50mm prime lens and concentrated on getting some close up shots in order to avoid having a million people in my panoramic photos and a sparse row of flowers standing out like a sore thumb. I highly recommend that you visit but plan on shelling out some cash if you have a large family.